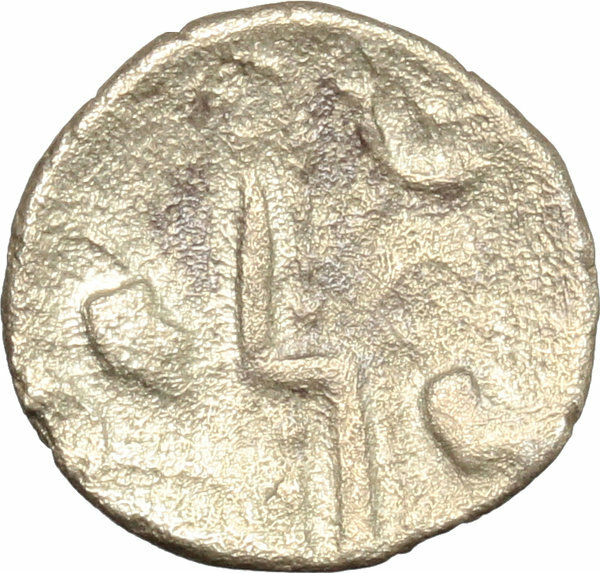 Coins 1 Celtic World. Britain, Durotriges. 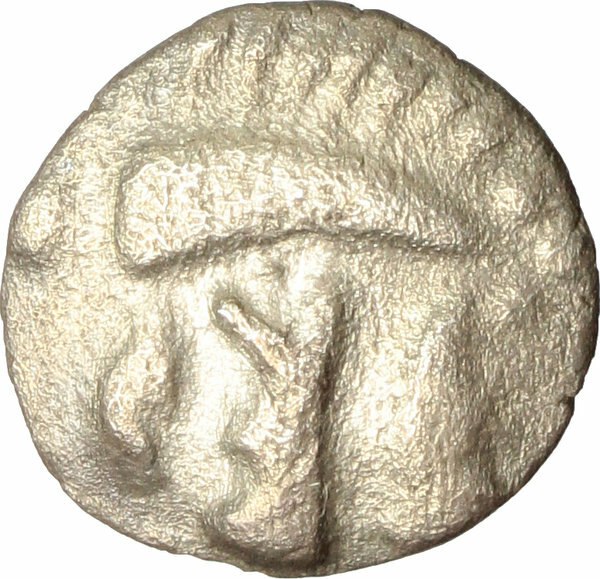 AR 1/4 Stater (later geometric type), 65 BC - 45 AD. D/ Stylized wolf left with twins. R/ Zig-zag pattern with uncertain objects around. Van Arsdell 1249. SCBC 368. AR. g. 0.66 mm. 12.00 Good F.